It’s hard to cope with the loss of a loved one, and it’s harder when their profile pops up on Facebook as a suggestion, as if they were still alive. Now, the social network is using AI to make sure that the profile of the deceased doesn’t “appear in a painful way,” along with some new tools for memorialization for remembering them. Facebook allows people to memorialize a profile when they pass away, so that they can preserve their memories and make it a place to honor that person. To do that, a person who has been assigned as a legacy contact by the deceased can inform Facebook, or friends and family members can request the social network to memorialize their loved one’s profile by filling out a form and including proof that they’ve passed away. It’s not clear at the moment as to how the AI works before memorialization. It might be looking for posts of people who are tagging the deceased, but it would have to be super careful not to wrongfully identify someone as dead. We’ve asked Facebook about more details, and we’ll update the post accordingly. In addition to creating supportive tools, we also hope to minimize experiences that might be painful. We’ve heard from people that memorializing a profile can feel like a big step that not everyone is immediately ready to take. If an account hasn’t yet been memorialized, we use AI to help keep it from showing up in places that might cause distress, like recommending that person be invited to events or sending a birthday reminder to their friends. We’re working to get better and faster at this. 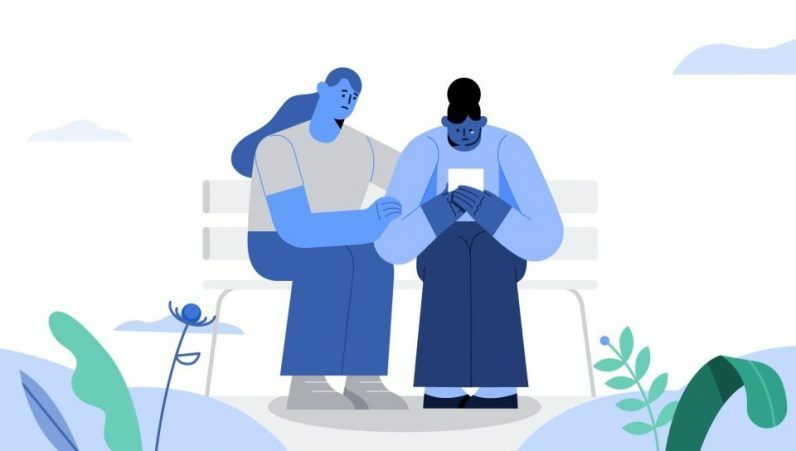 This AI aims to prevent your deceased loved one’s profile from showing up in suggestions for upcoming events, memories, pages, and, groups. Hopefully, it’ll work as intended, and won’t cause any distress for people who are mourning their loss. The company also introduced new tools including a Tribute tab on the memorialized profile, where people can pay their respects with a message. and better controls for legacy contacts to moderate posts on the deceased’s profile. Plus, there are now better controls for legacy contacts to moderate posts on the deceased’s profile. Moderators of the profile can now choose to hide a post that might be uncomfortable for some to read.